Summary: A people’s myths reveal much about them. Today we look at our myths as shown by Hollywood on the big screens. It shows a people with powerful fantasies, but they point to a dead end instead of a viable future. America’s film heroes follow a deep thread in America history, going back to the mythical cowboys of the post-civil war frontier. Lone rangers, film noir detectives, 1960’s anti-heroes, lone heroes, vigilantes, lone superheroes. We love tales of solitary men fighting the forces of evil in the community — often the leaders of the community — and ride out of town into the sunset. When it comes to our heroic myths, it’s all “High Noon”. We play the role of civilian bystanders. Ignorant, passive, perhaps even cowardly. Our myths have dug into a fun but futile rut, one that is symptomatic of our inability to take collective action. It’s symptomatic of our dysfunctionality. Our weakness. And grown worse over time. 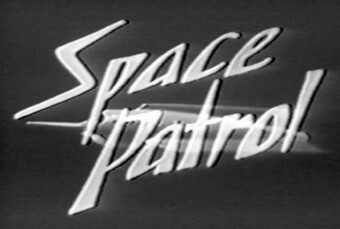 In science fiction Heinlein’s Space Patrol kept the peace and EE Smith’s Triplanetary fought pure evil. These stories mirrored and magnified the organizations that fought for our rights during the generations following the Civil War: unions, progressives fighting for clean food and water, groups fighting for civil rights for Blacks, women, and gays. Brave people working together, against greater powers, often sacrificing all they had — eventually gaining sufficient popular support so that the government puts their reforms into action. Both this fiction and our history have gone down the memory hole. In response we have fantasy (“what I could do with superpowers”) pointing us away from our strengths. Men and women with godly powers in tights. Lone heroes, often in rebellion against their own organization — or fighting it after it turns against them (as in the Bourne and Mission Impossible films). These are not dreams that can inspire us to do great deeds in the real world. These are visions of despair, an admission that we cannot imagine a way to recovery what we once were. As a retreat from the real world we would do better to adopt a life of heedless fun (hedonism) or great food (Epicureanism). Individually we are pawns. Together we are a people capable of great things. Or could be. Here is the conclusion of “Rollerball” (1975), a new-born hero in a world without heroes. A world designed to prevent the rise of heroes. Heroic survival, battered, alone and vulnerable. Nowhere to go but in circles. Around and around. What kind of sequel could we write? Nothing inspiring. Most likely he could retire with a large pension, perhaps hitting the speaking tour for fat fees. Superhero comics are, I believe, largely an American art form. Yet the current wave of Hollywood bockbusters have found large audiences overseas, even beyond the English-speakng nations. How do these people regard our heroes? How do they integrate them into their society’s myths and dreams? (4) A change of trend? It often pays to watch for contrary trends, such as the appearance in the Disney/Marvel films of SHIELD. It’s had a rocky history in the comics, as a brave true group of defenders becoming evil, then defeated, closed, reopened, rinse and repeat. Let’s see how Hollywood handles this. The SHIELD TV show shows SHEILD’s heroic side. The trailer for “Winter Soldier”, the second Captain America film, shows a darker version of it. Which will gain the greater traction? Next Post Remembering is the first step to learning. Living in the now is ignorance. Watch Slavoj Zizek’s Pervert’s Guide to Cinema….Excellent….Also, many should be reading Zizek’s works…Some are tough with a lot of Hegel, Kant and French/German pyschoanalytic thought…For an easy intro read try Demanding the Impossible just out…..
my Brother-n-Law posted a great link on an individual US progressive hero an a supported organization that formed, stormed, notmed and performed with both Individual and Collective Action that greatly impacted Individual rights. Perhaps Celestino Alfafara is best known for the victorious test case he filed in 1945 that went all the way to the California State Supreme Court, Alfafara v. Fross, through which Filipinos gained the right to own property in California. In June 1944 he had entered into a contract to purchase a parcel of property for $65.00 in San Mateo County. The owner of the property, Bernice Fross, refused to convey the property to him, citing the Alien Land Act of 1921. He successfully challenged and won the case because he was not an alien, but a U.S. National (Common Destiny: Filipino American Generations, Juanita Tamayo Lott, 2006). Thank you for this inspiring slice from history! I added to your comment the full citation and an excerpt, to encourage people to read it. Ooh, yeah, this is a bit of a sidetrack, but my Japanese grandparents were also subject to the Alien land act. I think how it worked was that Japanese and some other groups were excluded from citizenship due to the Asian exclusion act — and then the Alien land act prohibited anyone who was excluded from citizenship from owning land. Really, the anti-Japanese feelings in California didn’t start with WWII. I thought the law stayed on the books into the 50’s? I need to check again, but I have to go to work right now. History is always in order here. Among the many struggles in our history was the extension of basic rights to people of other ethnicities. I believe you refer to the California Alien Land Law of 1913, overturned by the California Supreme Court in 1952 (see Wikipedia). It sounds like the same law. That the Filipinos were a special case because at that time the Philippine Islands were still a colony of the USA, and therefore citizens and not banned from Property ownership. Japanese still banned from property ownership in California until 1952 — this fits my recollection of what I read before. Thanks for mentioning this! I not only agree with the analogy, but believe this strongly makes the point of this post. The “Scouring of the Shire” chapter at the end of Lord of the Rings plays a powerful role in the story. It brings it full circle, back to the Shire where it began. And the comparison of the characters who made the quest vs their stay-at-home peers shows us how they have grown. And last, it provides a last, and powerful, example of how security comes from ordinary people working together — not superhuman lone rangers. Note how this chapter is omitted from the movie, unbalancing the plot and draining it of much of its meaning. This matches the overall dumbing down of the plot, omitting many key scenes in favor of battles — which occupy a far greater share of the screen-time than their relatively small share of the books. This might not have been quite so hard on Sam or even Frodo, but it could have been very problematic for Merry and Pippin. Sam (as a member of the servant class) is probably at least somewhat accustomed to disregard, and his seemingly natural tendency toward self-effacement would have prevented him from taking offense at this — and Frodo, as the chosen heir to Bilbo, is probably somewhat accustomed to this as well. However, many people forget that Merry and Pippin are not just members of influential families…they are the heirs apparent to the Master of Buckland and the Thain respectively, the highest-ranking positions in Shire society. I firmly believe that if Merry and Pippin had returned from their quest to the same kind of lukewarm welcome that Bilbo received, it would have been very hard for them on several fronts and especially when the time came for both to assume the positions they were born to inherit. It seems reasonable to assume that both Merry and Pippin would suffer from some degree of PTSD as many soldiers who have seen combat do, and this would not be understood by anyone other than Sam and Frodo. Further, even though Merry and Pippin have matured as a result of their experience on the quest, neither one of them really has Frodo’s degree of self-possession (which probably stems in part from the fact that he’s several years older than both of them — in fact, at the time of the quest, Pippin is just an adolescent in hobbit terms). At the same time, Tolkien stops short of indulging the naive and unrealistic myth/fallacy of “belief in a just world” by giving everyone a happy ending. Uncomfortable though it may be to face it, the truth is that heroes often do not receive the degree of acknowledgment and reward they deserve (especially since reward and acknowledgment are not the goals of heroism) — indeed, in some cases, it would be more accurate to say “no good deed goes unpunished.” Tolkien tells us that Frodo, the one of the four hobbits who merits the most credit and reward, is the one who receives the least — and deprives him of what most hobbits would consider a happy ending in the form of marriage and children. Frodo is probably the quintessential tragic hero in that a whim of fate (rather than any kind of personal or family flaw) requires him to take on an extremely difficult task during which he suffers many hardships and pays a very steep price at the end. Then again, this is also the most perfect example of what heroism means…to take action because you know it to be right even though you know it might cost you dearly. Bluestocking — That is a great comment! Thanks for posting. I will get back to you on Harry Potter. Although most anyone else could chime in. The entire Iliad represents the struggle of a lone hero, Achilles, against organized society, represented by Agamemnon. Going further into classical Greece, we have, for example, Aeschylus’ Prometheus Bound, the tale of the hero Titan Prometheus who is being punished by the tyrannical Zeus. That inspired Shelley to respond with the Prometheus Unbound. Which brings us back to the Hindu-Gothic. Which brings us back to Harry Potter. While I as poor European have never understood the obsession with heroes like Superman, he is IMHO as uninteresting as Siegfried or Achille, I do really enjoy the various facettes of “heroes” in Georg Martin’s books of the “Song of Ice and Fire” series. @Blustocking, thank you very much for the really good roundup and interpretation of the last chapters of Tolkien’s Fellowship of the Ring, it perfectly mirrows my view. Superman is an ideal, but uninteresting to most people as a character. Batman, X-men, Avengers, Spiderman (etc) are the superheroes of most interest to Americans of the past few generations. And, if I understand correctly from reading the headlines (not the stories), people in Europe and Asia pay to see superhero movies in large numbers. Guessing, the demographic of highest interest is young people (up to 30?). Why, and how they see them, would be interesting to read. People like my grandfather, who survived the destruction of his ship in the Jutland battle, suffered severely in the depression years 1923-29 and was in prision 1938 for political reason, had enough real life experience to cope with life without artificail heros, the same for my father who lost his dad in 1943 and saw as 10 year old kid in 1945 more crap than most adults have to face today. In contrast, for the generation of my kids war is something abstract and distant and my personal opinion is that the lack of wars or economic hardship creates the need for heroes because normal life does not produce visible ones. Nicely said! Thanks for the additional explanation. It’s always interesting to hear the perspective of people from other lands. I’ve heard that in a lot of Chinese storytelling, the protagonist must die in order to become a hero. That’s a different ideal of heroism. So are person’s actions before death heroic, ennobled by death? Or are there not heroic actions. I would imagine the feelings of teenagers everywhere are mirrored in the stories of superheros. Power and heroism, amid the do your homework and get to school! recognized either unconsciously or consciously by others. I wouldn’t be surprised if the appeal to Americans of the lone hero singlehandedly taking on and defeating all comers has more than a little to do with the “myth of rugged individualism” which seems to be specific to this country and has been discussed several times on this site…especially since this model has a subtle streak of selfishness underpinning it. After all, if you do something all by yourself, you’re under no obligation to share the benefits of your actions (in the shape of credit or rewards) with anyone else — just like the Little Red Hen who refused to share what she had made with any of her friends because none of them had been willing to help her make it. Both history and religion have shown time and time again that human beings need no encouragement to be selfish. It’s possible that part of the appeal of the lone hero for some people is that it provides an excuse for selfishness and other variations of socially marginal or even ethically questionable behavior. It’s worth mentioning that a lot of the lone heroes which FM describes — “film noir detectives, 1960′s anti-heroes…vigilantes” — are not exactly (and in some cases, very far from being) Boy Scouts. As an illustration, I suspect that one of the reasons why many people prefer Batman to Superman is because Superman is actually too perfect and too god to be true — not only physically but also morally superior to ordinary people — leaving the audience with nothing to which they can relate. Superman may represent who we should be and who we say we aspire to be, but he does not represent who we are — nor does he, if our usual behavior is any indication, represent who we really want to be. (Freud was right when he said that part of us very much *wants* to be selfish and aggressive.) Batman, on the other hand, is more complex — he’s not perfect, because he’s motivated by the ethically ambiguous desire to avenge the deaths of his parents. He’s also willing to go to lengths to which Superman probably would not, and is less respectful of his opponents. As far as superheroes in general are concerned, it’s not hard to understand their allure. 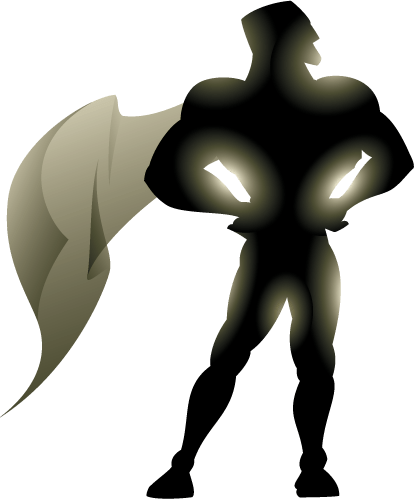 The appeal of a superhero — whether working alone or in concert with others — lies in the fact that superpowers not only suggest that the person who has them is born to a greater destiny than that of most people but also to a large extent imply that the person need not be afraid of any potentially unpleasant consequences of their actions. One of the biggest obstacles to heroic action among ordinary people is the (understandable if not always wholly rational) fear of negative consequences, physical or otherwise — pain, injury, incarceration, financial costs, loss of status, ostracism, etc.. This is a big part of the reason why so many people end up as bystanders — they are unable or unwilling to go against their own interests or risk their own security (even if it’s illusory), no matter how noble they think the cause might be. It’s much easier for people to be heroic when they perceive themselves as having nothing left to lose…or to be more specific, when living conditions have become so desperate that even the loss of the one thing they have left (their lives) is regarded as preferable to passively submitting to the status quo. -The Eastern equivalent to the superhero is the legendary kung fu master who often possesses, along with impeccable fighting prowess, insights into the secrets of nature. -Superheroes are elastic enough to adapt to what are usually considered self-contained, stand alone genres: crime (Batman, Daredevil), fantasy (Thor), sci-fi (too many examples to list, these days the most notable is probably Iron Man). Superman and the Silver Surfer have elements of both sci-fi and fantasy; Spiderman of both sci-fi and crime, etc., etc. -The theme of the original post is the preponderance of lone wolf type superheroes and a lack of team oriented superheroes and what this says about American society. As others have noted, superheroes often appeal to the wish fulfillment of adolescents, so this is perhaps not surprising. Yet these characters enter (or re-enter) mass consciousness, or a greater degree of popularity, with the movies based upon them. Unfortunately, the Fantastic 4 movies were among the worst of the superhero films. The X-Men movies had some things to recommend them but were not in the same league as the most recent Batman trilogy. Most interesting from this perspective are the Iron Man movies; aside from Robert Downey Jr.s excellent acting ability, these movies are far from cinematic masterpieces. They instead reveal the technological fetishism of American society: particularly in the last of the trilogy with the swarming drone suits. -The Hulk (one of my favorites) is also interesting from the perspective of revealing aspects of American society, or the American psyche. Pure fury unleashed by gamma rays with an infinite capacity for destruction due to an infinite capacity for rage. In “Planet Hulk” – there’s an animated film based on the comic series – the superintelligent characters send Hulk to another planet in order to rid Earth of his destructiveness. The Hulk finds his way back to Earth seeking revenge and so represents the return of the repressed, or the accursed share once the genie has been let out of the nuclear bottle. Also, in the Avengers movie the Hulk is the most formidable Avenger. Someone has probably explored this in more detail somewhere. -Two of the great comic book writers, Alan Moore and Grant Morrison, have taken near opposite approaches to the superhero. Moore shows how dysfunctional such characters are when placed in a more realistic environment (Watchmen); Morrison emphasizes their mythical qualities to inspire the hope of human potential. In Supergods (the best book about these subjects, imo) Morrison writes about how he lived under the shadow of the atomic bomb and discovered that Superman was a better, more powerful idea. The limits of this thinking, of course, are that the atomic bomb actually exists in physical reality. So the question – along with the ‘reality’ of Superman who, Morrison notes, will more than likely outlive us – comes down to a sort of Nietzschean project of making Superman a fact – attempting to reconcile this with teamwork is an intriguing proposition.